Beautiful fur cuffs made from russian barguzin sable. Russian sable is among other fur skins the noblest and most precious furs available. For thousands of years, sables have been traded worldwide as a treasure. Russian sables are from Russia (Siberia), Kazakhstan, China, North Korea, Japan, or Mongolia. The more uniform and darker the color of the sable is, the more valuable is the sable skin. The hair of the sable is very dense, fine and it can vary in different color shades. Russian bargusin sable skins with the so-called silver tips (silverys) are the most expensive and noble sable skins. One of our primary objectives is to make sustainable use of existing resources and reconcile them with nature. Using Russian sables, we support the regulated hunting of wild animals. If you decide to buy a product from Russian sable skins, you can be sure to get an excellent premium product from first-class sables. If you have any questions or requests, please do not hesitate to contact us. Related links to "Beautiful fur cuffs made from russian barguzin sable." 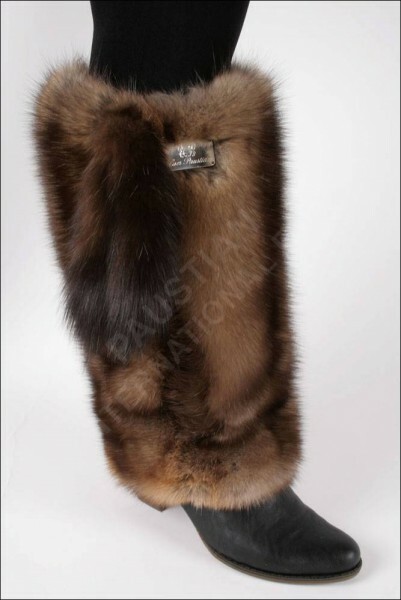 Customer reviews for "Beautiful fur cuffs made from russian barguzin sable." Fawnlight Fox Fur Blanket "Vanilla"